ENG: April is here, but I think we still get stuck at February. 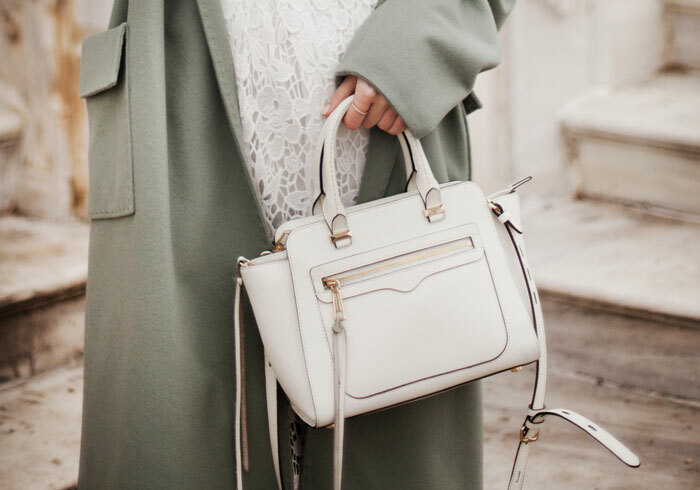 Having big desire for wearing total lace everything, but without my new oversize mint coat I have a chance for catching some cold. Also, this outwear will be just perfect with casual jeans, isn’t it? Idea of carrying pastel colored blanket with me is simply amazing! Stay cozy and positive, friends! Thanks for visiting! RU: На дворе апрель, а такое чувство что мы еще застряли в феврале. Хочется носить кружево и при этом не мёрзнуть, поэтому здесь нам пригодится пальто мятного цвета, которое и согреет, и украсит одновременно. Ну и вариант с джинсами никто не отменял, не так ли? Да и что может быть лучше вот такого нежно-пастельного одеялка, с которым можно ходить по городу. You nailed it my dear! You're looking so impressive here! Perfect coat for spring. Very beautiful! Great choice! Шикарный лук Вика! ты просто красотка! Mini coat ans lace dress is perfect matching to your body fit. Nice click. Keep it up. The coat will look better with jeans and it will be more comfortable to wear. Winters gives you more cozy feeling just enjoy it. Challenge your bets with online casino gambling. It's such a pretty dress, You are looking beautiful.